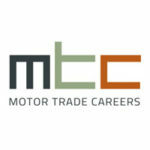 MTC have an opportunity for an experienced car sales executive to join this busy, successful and well known dealer group based in Blackburn. The suitable candidate will be able to prove past success within a main-dealer environment and have the ability to work towards achieving and exceeding targets given whilst maintaining an excellent customer service experience. This position comes with a very realistic OTE (£12k basic, £40k+ OTE) and will only suit someone who has the ability to maximise all profit opportunities whilst delivering an outstanding customer experience. The dealership will sell in excess of 350 new cars and around 400 used. If you wish to be considered for this role, have a stable career to date and can demonstrate your ability to succeed in this role, click ‘apply now’ with an up to date CV.